E-government policy initiatives for implementing citizen-centric integrated interoperable (CII) e-government services have gained international validity by governments worldwide. Despite extensive deliberations in e-government literature, however, successfully implementing strategic, institutional, and technological changes required by citizen-centric (vis-à-vis government-centric) e-government remains an unresolved theoretical and pragmatic conundrum. CII e-government systems are characterized by greater diversity in stakeholders, processes, technologies, applications, and big data, requiring greater cross-agency collaboration and process integration/standardization. Drawing from e-government interoperability and governance literatures, the authors examined the governance role in facilitating CII e-government implementation. The authors performed website and policy analyses of a successful implementation of Saudi Ministry portal, which exemplifies CII e-services. Results showed that government's earlier disconnected websites had not facilitated cross-agency information sharing required for citizen-centric e-government development. However, the authors found evidence that both e-government interoperability policy framework and collaborative governance had contributed to overcoming the implementation challenges and delivering CII e-government services to its diverse stakeholders. With the growing maturity of interdisciplinary e-government research and practice, goals of e-government initiatives in many countries – high-income countries and middle-income developing countries – have shifted towards transforming government to provide citizen-centric, seamlessly integrated interoperable public services (United Nations, 2010). Prior research shows the critical importance of integrating government information resources and processes, and ultimately providing the interoperation of independent e-government information systems (IS) (Scholl & Klischewski, 2007). Like private-sector organizations facing complex challenges with their information technology (IT)-enabled organizational transformation initiatives (Kaufman, 1992), governments also face complex challenges in e-government integration and interoperability (Chatfield, 2009; Gottschalk & Solli-Sather, 2008; Scholl & Klischewski, 2007; Scholl et al., 2012), bureaucracy, strategic alignment of policies and organizational goals (Lam, 2005), and good governance (Chatfield & Al Hujran, 2009; Ciborra & Navarra, 2005) in achieving the level of e-government interoperability required to provide citizen-centric integrated interoperable public services. Despite extensive deliberations in e-government literature (Scholl et al., 2012; Janssen, 2012; Australian Government 2.0 Taskforce, 2009; Chatfield, 2009; Benoit et al., 2007; Eggers, 2005; European Commission, 2010; Klischewski & Scholl, 2008; Navarrete et al., 2010; Scholl & Klischewski, 2007; United Nations, 2003, 2008, 2010, 2012), however, implementing strategic and technological changes required by citizen-centric integrated interoperable (CII) e-government remains an unresolved theoretical and pragmatic conundrum. The development of CII e-government requires a substantial IT investment even in developed countries. The importance of IT investments in the private-sector organizations has been demonstrated in the IS literature. Firms in the US spend as much on IT annually as they do on other fixed assets combined: offices, warehouses, and factories (McAfee, 2006). The pace and size of IT investments, however, are often associated with IT-based failure risk in these firms (Parent & Reich, 2009). On the one hand, both private-sector and public-sector organizations in the digital age increasingly depend on IT for timely information sharing, effective operational control, rapid innovation, speed to market, and customer service satisfaction. On the other hand, recent global financial crisis and economic recessions encourage trends for increased managerial scrutiny to reduce IT spending and increase business value of IT investments. Globally, concepts of enterprise governance of IT investments and IT resources, through a comprehensive IT governance framework for better governance structures, processes, and relational mechanisms, have proliferated as a solution to improve information management under the economic uncertainty and rapid technological change (Coleman & Chatfield, 2011). 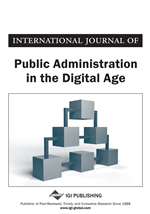 Ciborra & Navarra (2005) also found the importance of good governance in facilitating further development of e-government in Jordan’s developing country context. Furthermore, collaborative forms of governance and senior government leadership were critical in delivering better integrated e-services for citizens and increasing efficiency in e-government development during the current global financial crisis (United Nations, 2010; United Nations, 2012).